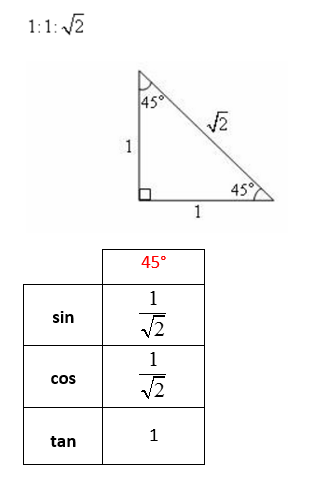 how to find the trigonometric functions of special angles 30˚, 45˚ and 60˚. how to use the calculator to evaluate the trigonometric functions of any angle. We will first look into the trigonometric functions of the angles 30˚, 45˚ and 60˚. Let us consider 30˚ and 60˚. 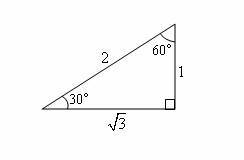 These two angles form a 30˚-60˚-90˚ right triangle as shown. How to find the trig ratios of the special angles? How to use a calculator to find trig ratios and angles? Find the value of cos 6.35˚. Find the value of sin 40˚ 32 ’ . 1. Use a calculator to find the function value. Use the correct number of significant digits. 2. Determine θ in degrees. Use the correct number of significant digits. 3. Determine θ in decimal degrees, 0° ≤ θ ≤ 90°. Use the correct number of significant digits. Using the TI 84 to find function values for sine, cosine, tangent, cosecant, secant, and cotangent. 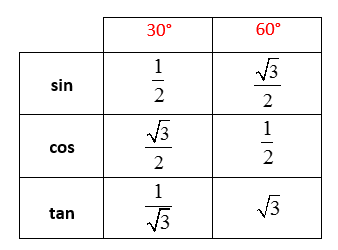 Inverse Trigonometric Functions We can use inverse trigonometric functions to find an angle with a given trigonometric value. 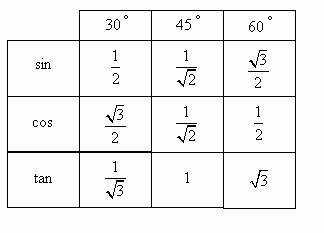 We can also inverse trigonometric functions to solve a right triangle. 1. Use the calculator to find an angle θ in the interval [0, 90] that satisfies the equation. 3. Find eaxh angle in a 3, 4, 5 right triangle.